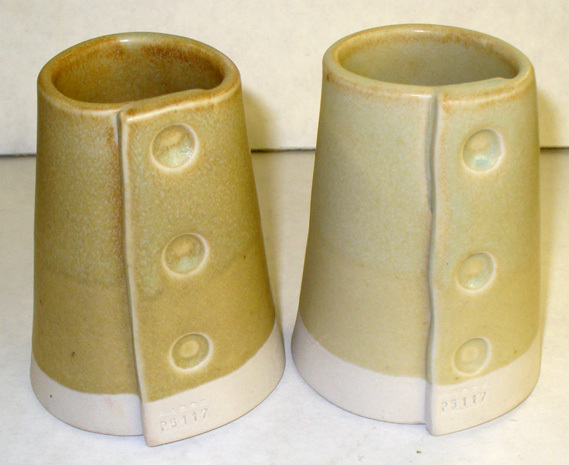 A standard Plainsman Clays cone 10R dolomite matte glaze used for many years. 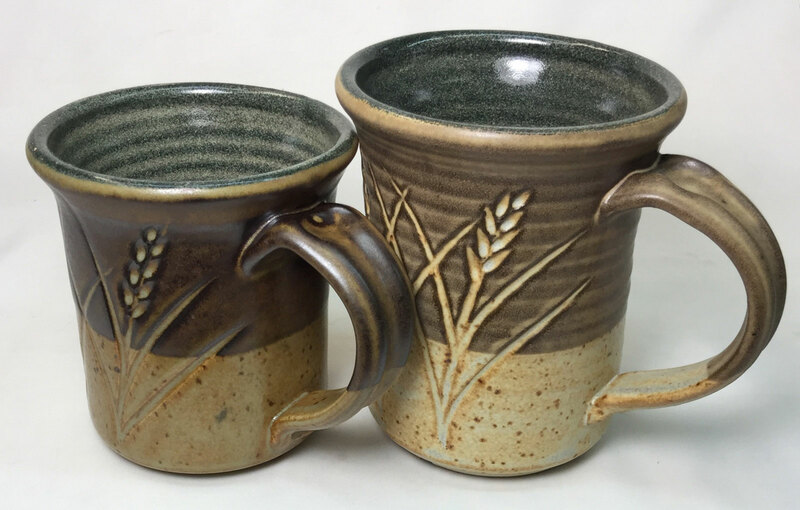 Colorants and opacifiers can be added to create a wide range of beautiful classic stoneware visuals. 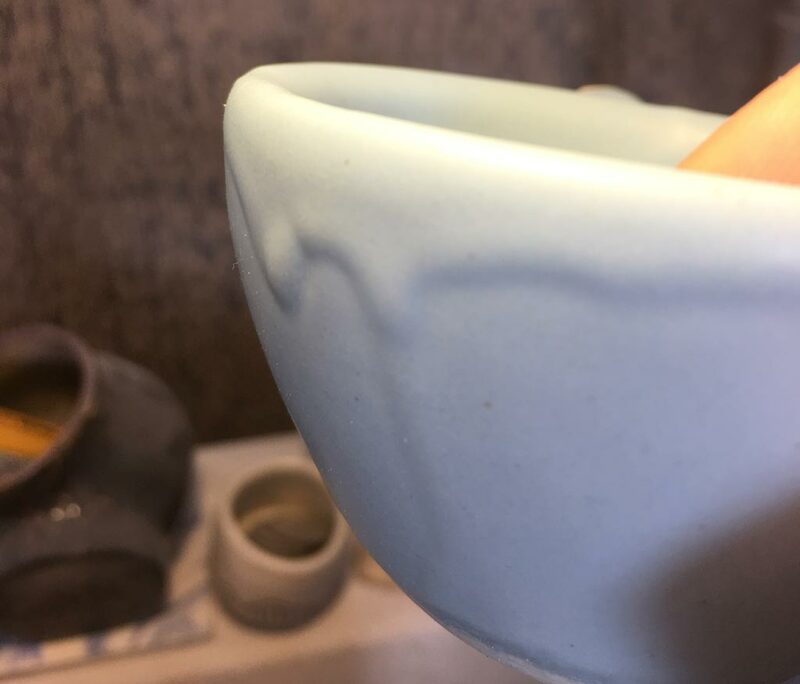 While many glazes of this type do not have a proper balance of MgO and do not melt to create a stable glass, this one has a very silky surface yet resists staining, crazing, and cutlery marking. An alternative recipe using Ravenscrag Slip is also available. It has very similar chemistry. If you do not have Gerstley Borate or Wollastonite, click the link below to watch a video on how to substitute these for a frit and calcium carbonate. 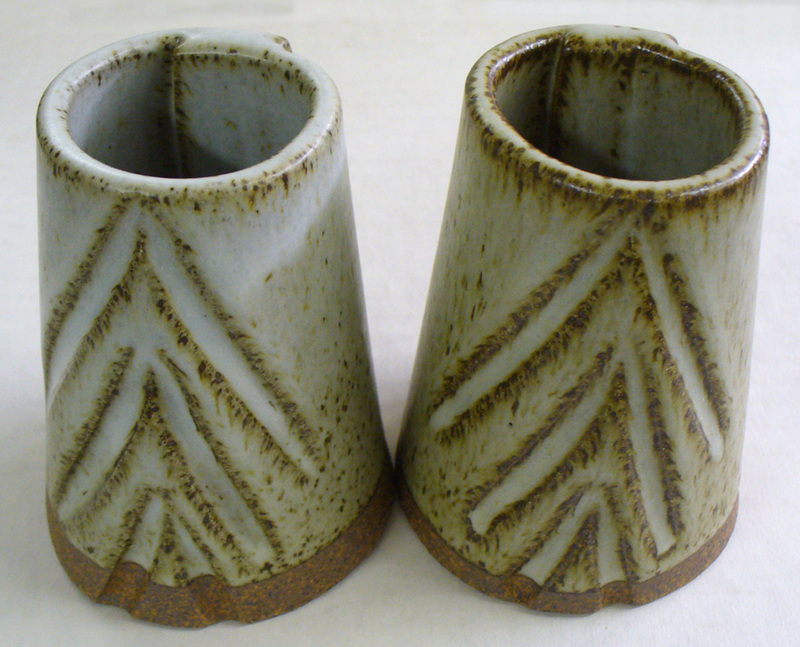 The inside is pure Ravenscrag Slip. Looking for a non-crazed non-cutlery marking cone 10R dolomite matte? 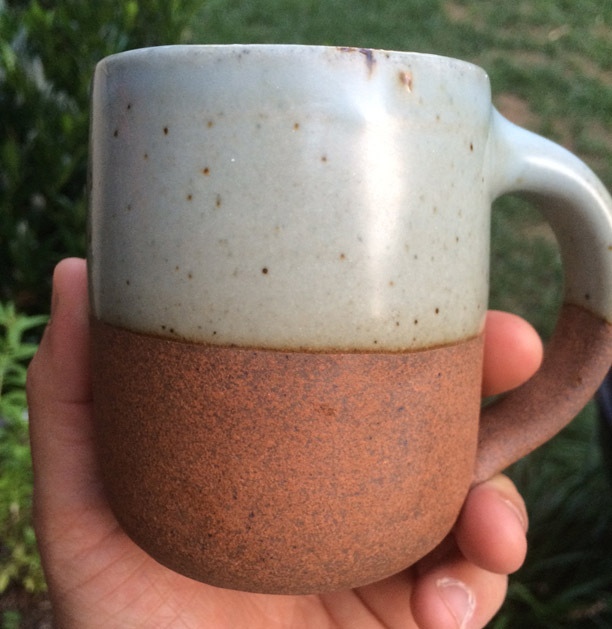 This is G2571A cone 10R dolomite matte on an ironware body made from native North Carolina clays. 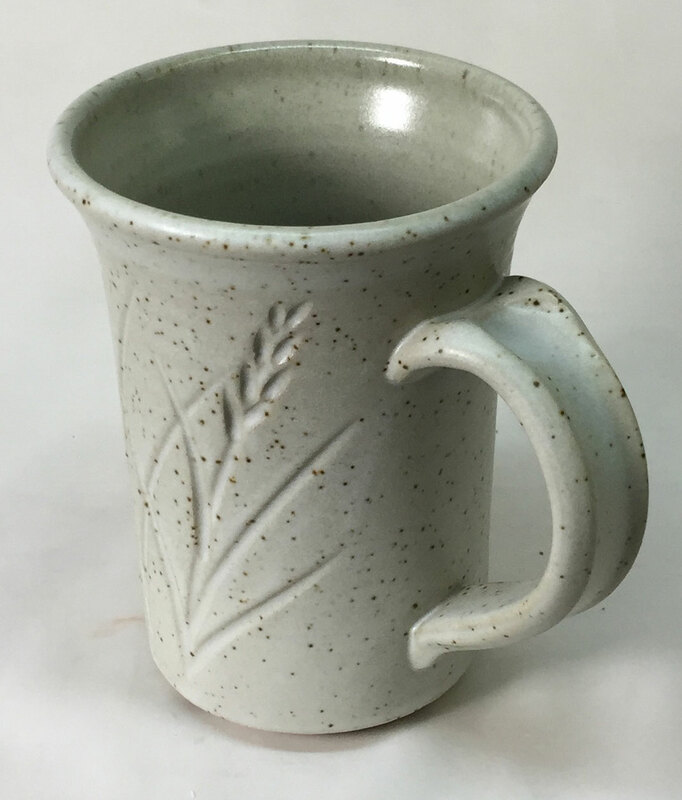 Few glazes have the pleasant silky feel that this has yet are still functional. The feldspar content in the body has been tuned to establish a compromise between the warmer color low percentages have with the higher strength that higher percentages impart. Careful porosity tests were done and recorded in an account at insight-live.com. The objective was to bring the body close to 3% absorption. 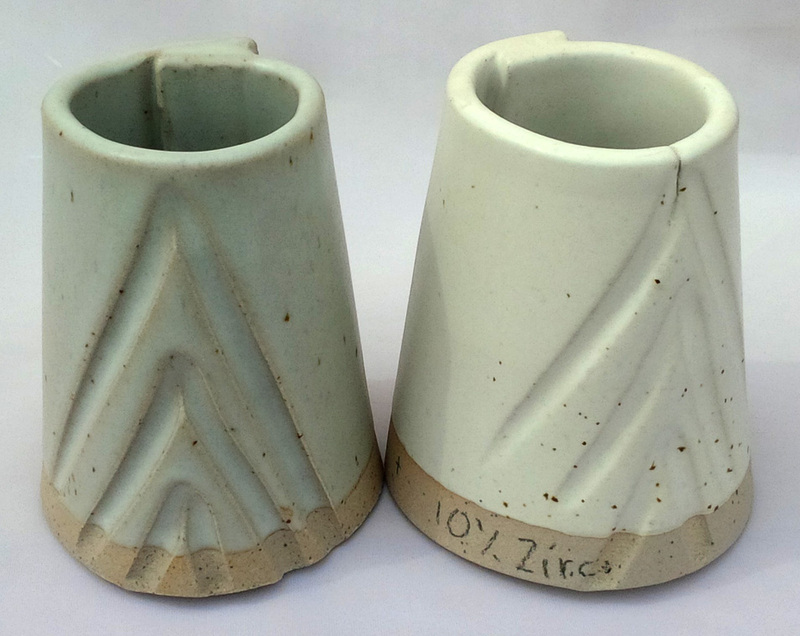 What would 10% zircon do in a cone 10R dolomite matte? 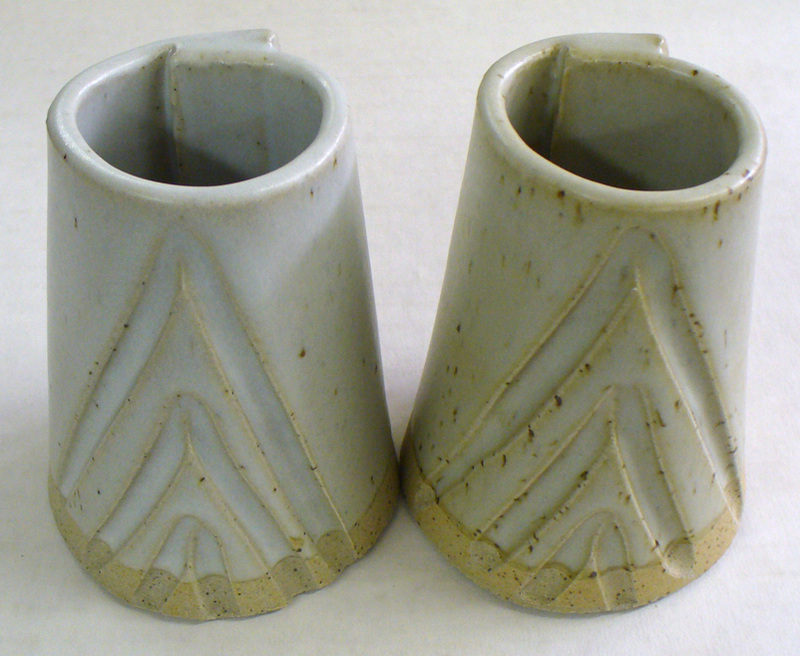 Left: An example of G2571A cone 10R magnesia matte. 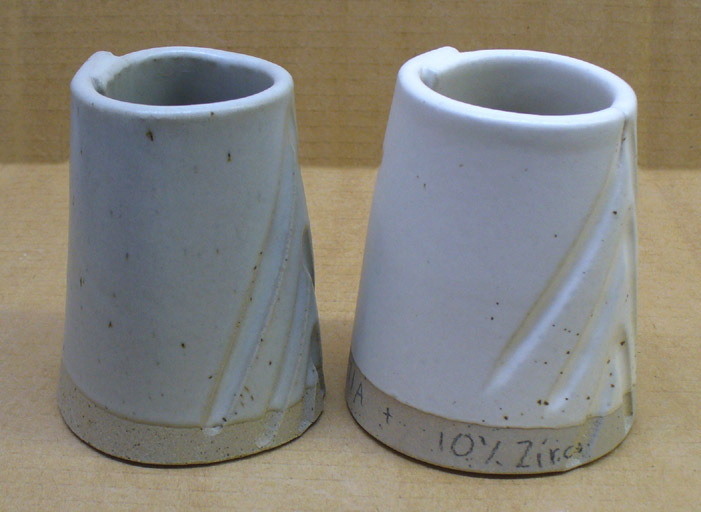 Right: with 10% added zircopax (zirconium silicate). The zircopax version is a very bright pasty white compared to the original. 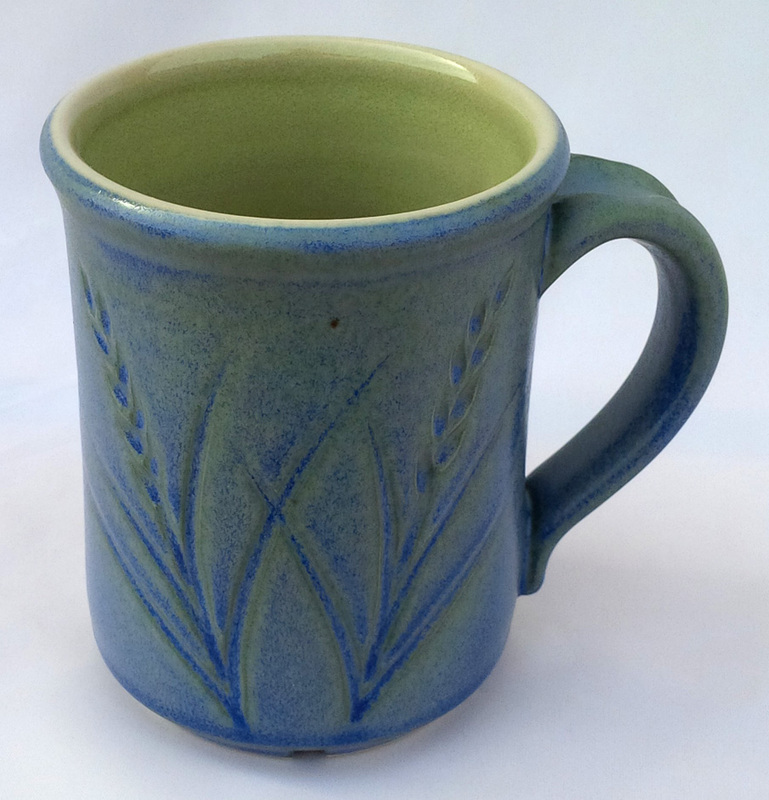 This is G2571A cone 10R dolomite matte glaze with added 1% cobalt oxide, 0.2% chrome oxide. 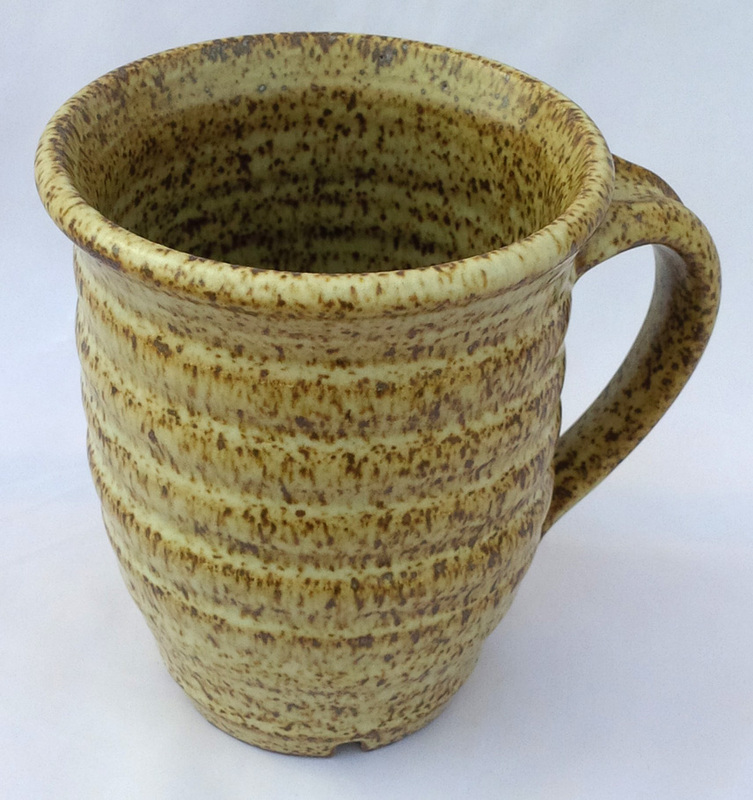 The porcelain is Plainsman P700, the inside glaze is a Ravenscrag Slip clear. This recipe can be googled, it has been available for many years and was first formulated by Tony Hansen. 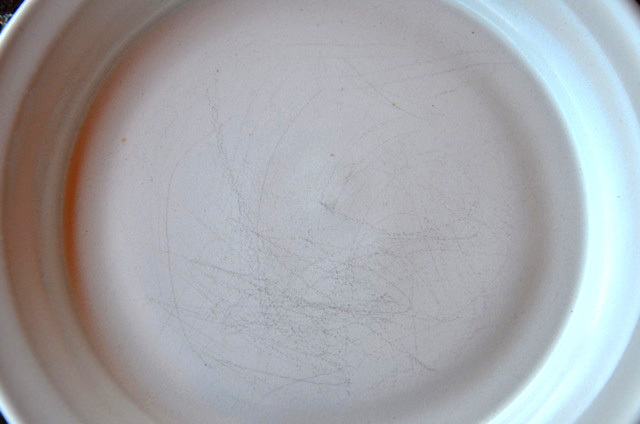 This base is very resistant to crazing on most bodies and it does not cutlery mark or stain. It also has very good application properties. 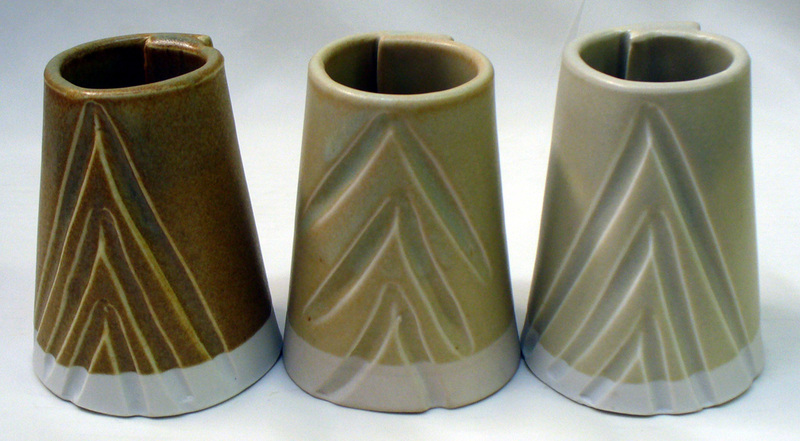 Three cone 10R mugs that have the same liner glaze. The liner is G2571A dolomite matte. 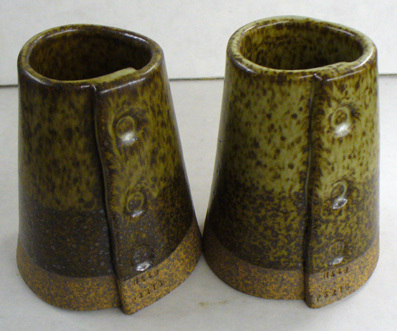 Do not use this glaze unless the specific gravity is optimal. For bisque ware, that will be about 1.43-1.45 (and flocculated to gel slightly). If the SG is too high it will go on too thick. If it is too low, it will shrink too much during drying (and likely cause crawling). 15.5 inches tall. 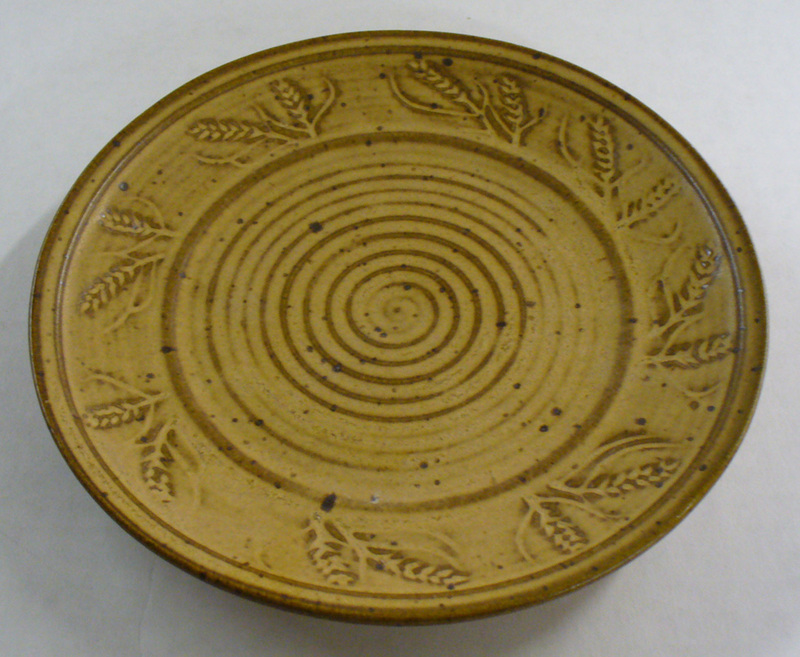 Clay is Plainsman H480 (buff body stained with yellow iron oxide). Made around 1990. 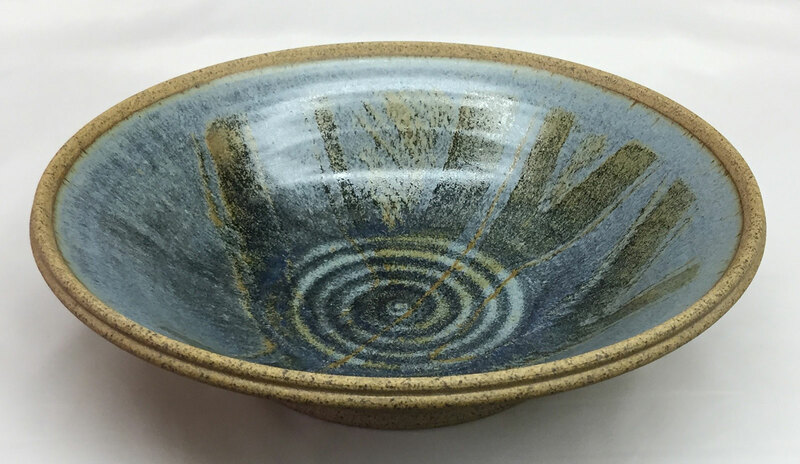 Uses G2571 rutile blue glaze. Made around 1980. Clay is Plainsman H440G. Fired to cone 10R. 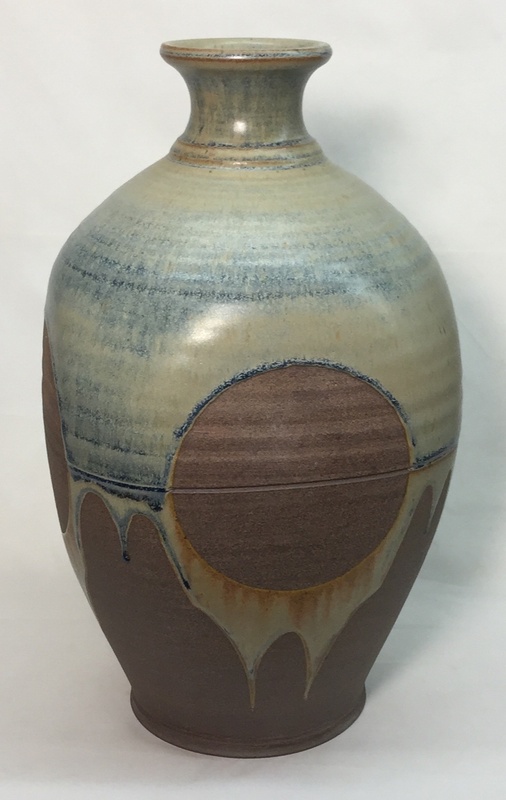 Glaze is rutile blue (G2571A with rutile and a little cobalt added). Made in 1982. Clay is Plainsman H443 fired at cone 10R. 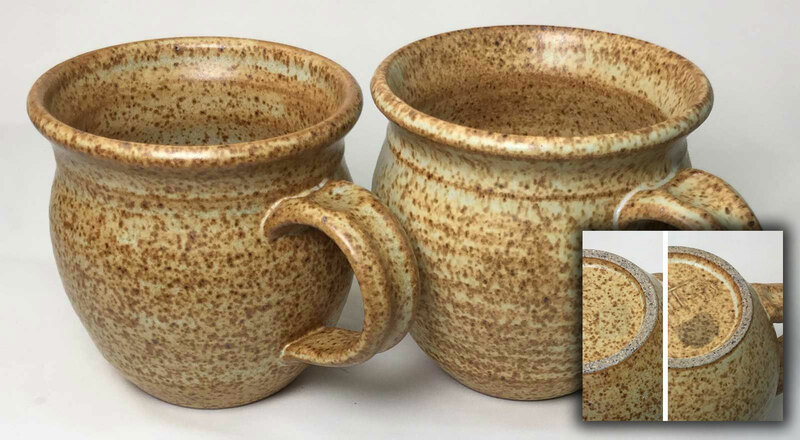 Glaze is G2571A with 0.25% chrome oxide, 1.0% cobalt oxide and 0.25% manganese granular.